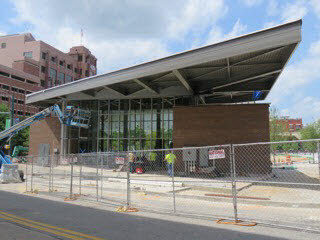 The yearlong work on completely rebuilding Miller Park appears to be winding down. 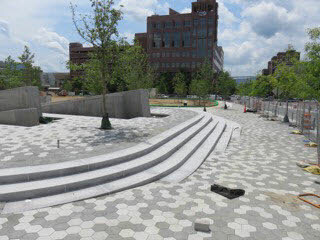 Most of the plaza and steps, including some sloped concrete for simple and safe climbing and sitting, has been about completed, as has the uniquely-shaped pavilion. 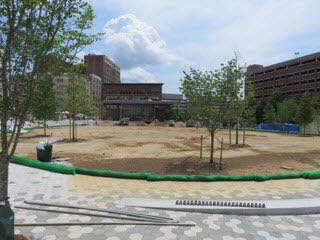 The area for a large circular and flat green space has also been outlined and shaped, with only sod waiting to be placed in the ground. 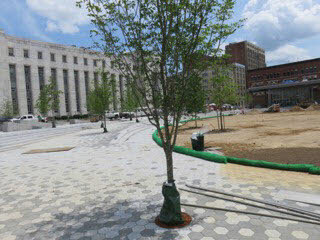 Numerous landscaping trees have also been planted. 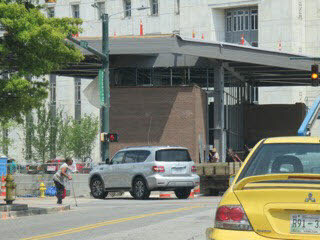 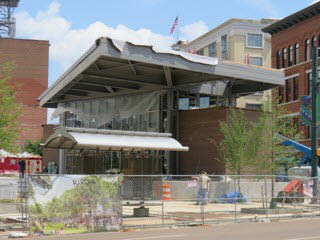 The roughly $8.5 million project was designed by the New Orleans-based firm of Speckman, Mossop and Michaels. 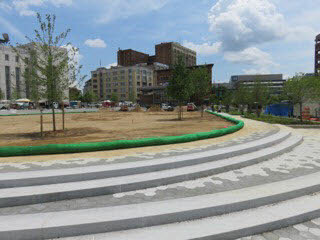 The city-owned park is much different from the one built in 1976, which featured an artificial pond and flowing water, and a simple stage with an acoustical back wall. 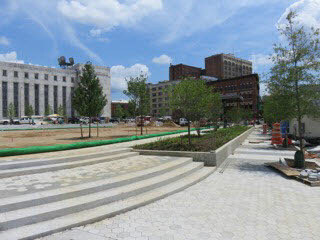 Also, the center part of the park sat slightly below street level, with grassy mounds on the Market Street side, and seating and square fountain pools on the Georgia Avenue side. 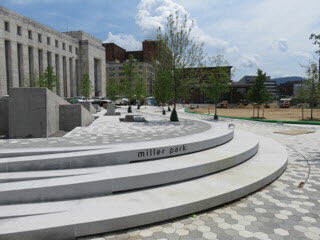 At the time, the original park was a major effort to make downtown Chattanooga more appealing and inviting during the height of the urban flight days.